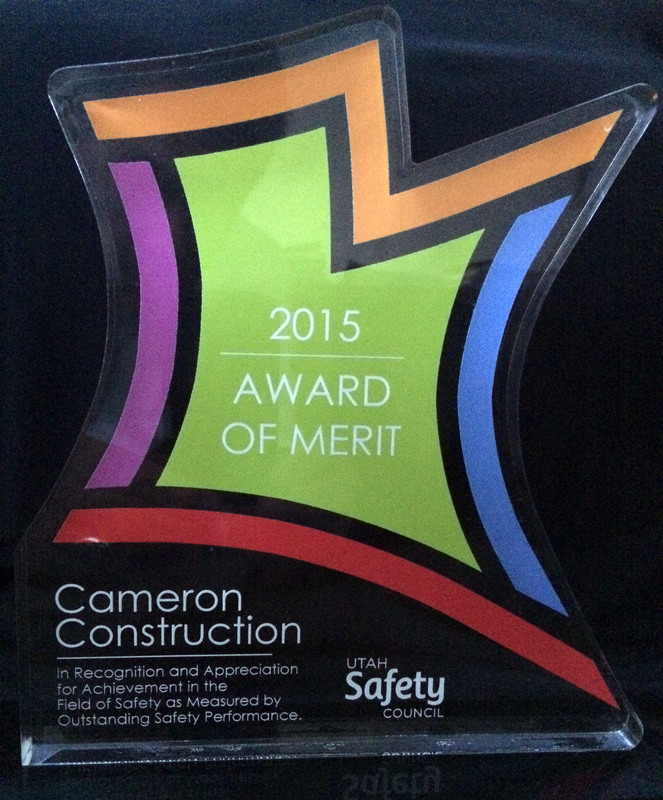 Cameron Construction recently received our first Award of Merit presented by the UTAH Safety Council in recognition and appreciation for achievements in the field of safety as measured by our outstanding safety performance.The owners and senior managers of Cameron Construction strongly support the health and safety of our employees. subcontracts, vendors and visitors on our project sites and in our office environment. Safety is a high priority of everyone involved on our projects and to ensure that each person returns home to their family each night, “YFNY”….Your Family Needs You is our tag line to keep everyone aware of the importance of a safe work place. For the sixth consecutive time Cameron Construction was presented the 2015 ABC, Associated Builders and Contractors Inc., Safety Training and Evaluation Process STEP Award in recognition of our company’s Gold Level of safety achievement and efforts in the development of a quality safety program.